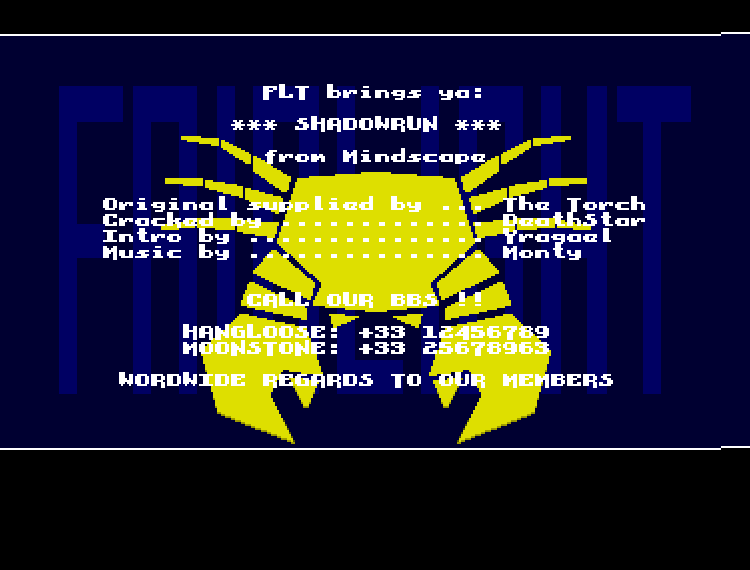 Shadowrun by Data East Corporation was a SNES game, but this intro, which is likely just a display intro, is running on standard Amiga platforms. 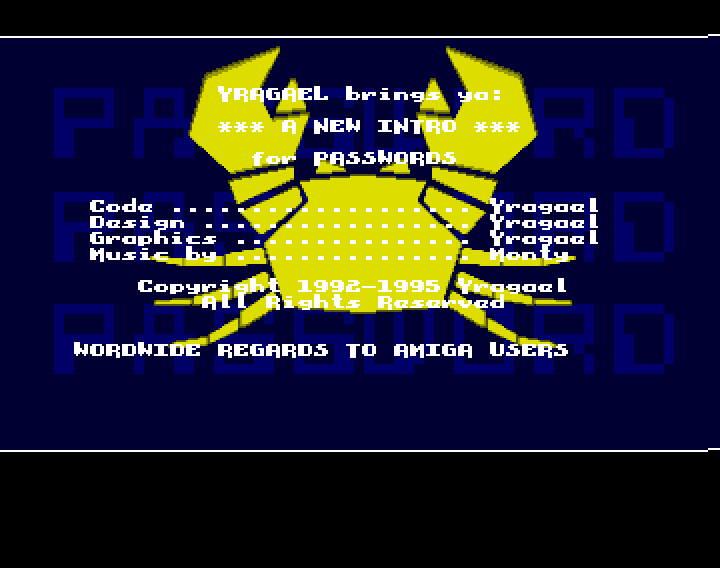 The fact that Mindscape is quoted could hint that the game company had possibly received a license to develop the game on Amiga, but that it was never released. 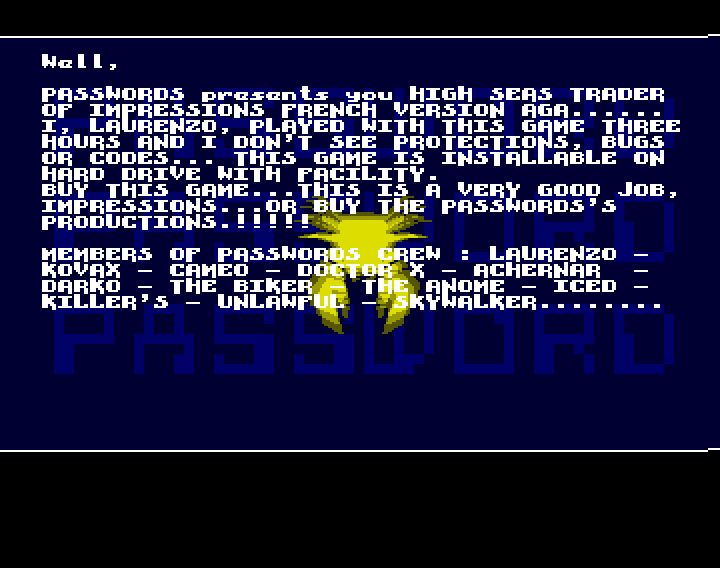 It is currently unknown if Fairlight really managed to have a leak of a beta version, or the game in unreleased final form, or if the authors of the intro just wished that the game would be adapted to the Amiga. Date is based on the SNES first release, but the intro could have been released in 1995. Notice: BBS numbers are 1234567... so obviously fake.